Don Arbon was a man who never met a stranger. He loved talking to anyone he met, with instant friendship and a message from the Lord. This great man passed away peacefully Friday March 16th, 2018 surrounded by family. He was born to loving parents Raymond Francis Arbon and Catherine Lucille Nelson on January 24th, 1930 in Ogden, Utah. He grew up on a farm with his older brother Bob and younger sister Nathell. As he grew, the family moved to Glendale, California where he graduated from John Marshall High School in 1948. 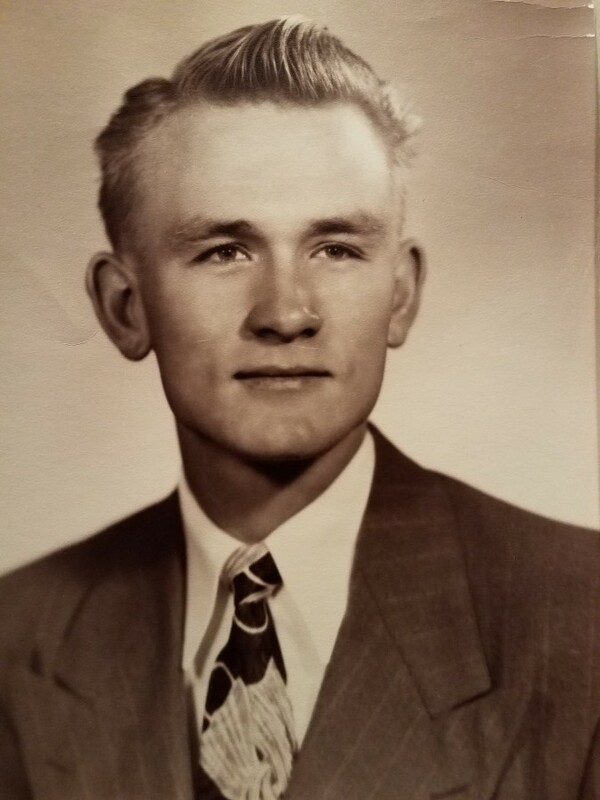 In 1949 Don served a valiant 2-year LDS Mission in Toronto Canada, where he loved sharing the gospel – later becoming a theme throughout his life. In 1953 he married Nancy Joyce Olson, together having 4 children: Donnie, Debbie, Davey, and Diane. He spent 6 years in the US Army serving in the Philippines, Japan, and Korea, achieving the rank of Sergeant. His college education began with 2 years at BYU, eventually earning a Masters of Education in college and became an award-winning high school teacher, inspiring 1,000’s of young minds to love Industrial Arts and Math. His family spent many years in Camarillo, Calif., where their young family grew up enjoying life. He was always engaged in his kid’s lives: Baseball coach, Scouting, Dance lessons, etc. He was our best fan!! After 24 years, Don and Nancy parted ways, and Don eventually married Connie Zufelt, bringing with her 3 more wonderful children into his family: Doug, Juli, and Cindy. After he retired, Don and Connie spent many years serving as temple workers in the LDS temple in Los Angeles. After moving to Salt Lake City, they again served several years as greeters at the Joseph Smith Memorial Bldg, totaling nearly 30 years of missionary-type service! Don and Connie enjoyed traveling the world, seeing some of the greatest religious and historical sites, including Jerusalem and Egypt. After a brief illness, Don returned back to his God, enjoying a reunion with his parents and siblings, along with so many cherished relatives. He leaves behind his wonderful wife Connie, and a devoted clan of children, grandchildren, and great grandchildren. He also leaves behind a legacy of service and love, touching the lives of countless children of God. The funeral is scheduled for 11:00 am, Thursday March 22nd, 2018 at the Old Rock Church at 413 West Capitol Street, Salt Lake City, Utah. A time of visitation and support will be held at the church beginning at 10:00 am. 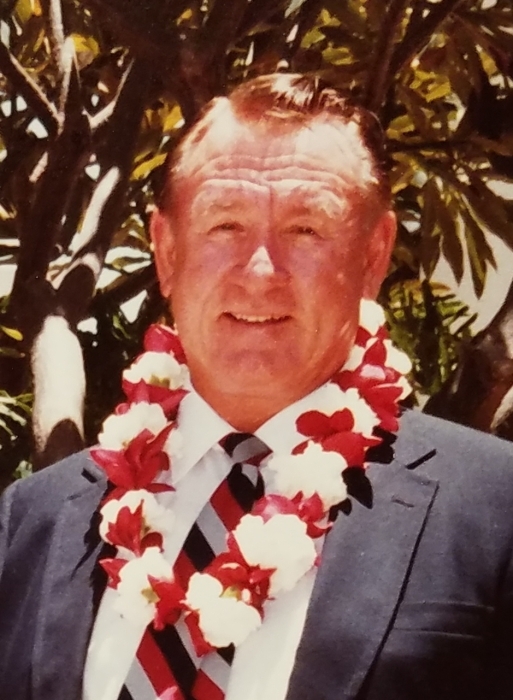 Following the funeral, internment of the grave and a military presentation will be held around 1:00 pm at the Utah Veterans Cemetery and Memorial Park at 17111 South Camp Williams Road (Redwood Rd. ), Bluffdale, Utah.